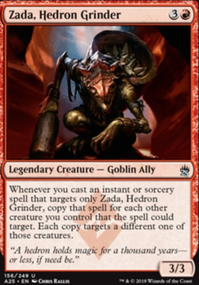 It seems like this commander would do well with high power/low durability/downside cards like Phyrexian Dreadnought, Arc Runner, Ball Lightning, Blistering Firecat, Impetuous Devils, Crumbling Colossus, Blistering Barrier, Bloodmad Vampire, Cosmic Larva, Keldon Vandals, Lavacore Elemental, Loxodon Peacekeeper, Mijae Djinn, Okk, Phyrexian Soulgorger, Wall of Razors, Wall of Torches, Inferno Hellion, Iroas, God of Victory, Spark Trooper, Thunderblust, Traxos, Scourge of Kroog, Volcano Hellion, etc, etc. Cast creature -> attack in (if possible) -> sacrifice if it won't do damage/do damage then sacrifice for even more damage. Bonus points for slapping buffs the creature before flinging, e.g. : Blazing Shoal, Reckless Charge, Fatal Frenzy, Rush of Blood, Brute Force, etc. Instant/enchantment double strike might be good for per-sacrifice combat round as well. or really kick things up with Feldon of the Third Path and the biggest thing you can get in your graveyard. You could maybe replace Reckless Charge with Expedite or Renegade Tactics because they both cantrip. Renegade Tactics might be better for forcing damage through. You could also probably get away with squeezing a Darksteel Citadel or two in there, if you need any more free artifacts. And I wanna suggest Welding Jar, but I don't think you actually need it. Cool deck, it's definitely a different strategy. It's a question of going a little wider and drawing a bunch, or going more all in on one creature. I don't know which strategy is better overall, but if I'm given the choice I would like to pay 18 life to attack with a 10/1 trample double strike on turn 3 (personal preference). 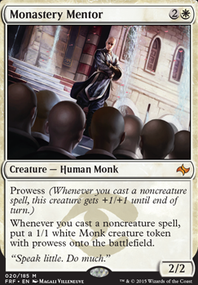 Manamorphose would be an all star in your deck, I highly recommend it if you can afford the price tag. Renegade Tactics and Crash Through don't trigger any of my creatures except Kiln Fiend. Maybe Expedite and Crimson Wisps are playable, but they sound worse than Reckless Charge. I like Downhill Charge as a free effect that scales up in case the game goes long, but I don't think it makes the cut over any of the pump already here. Flame Slash sounds pretty good, but I've been finding my creatures are outclassing the opponent's in combat by a significant margin anyway. And if they aren't blocking, then I generally like my odds on winning the race. Although I have been looking for a different sideboard card to try out, and these Electrickerys are 8% of the cost of the deck. I'll give 2 copies a run. Mutagenic Growth has won me numerous games for "free." Gitaxian Probe is an amazing sideboard card if they have removal. It's a prowess trigger, free card, and lets you know if you need to hold back an Apostle's Blessing or Mutagenic Growth for defensive surprise pump. It should get even cheaper too since it just got banned (again) today. 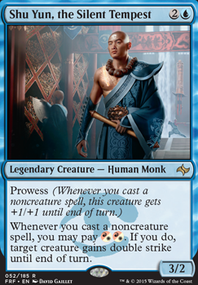 It kind of blows the budget, but I love Manamorphose for the free prowess trigger and free card (I had a set from another deck and won't take it out of mine, but doubt i'd spend the money if I didn't already.) I'm running 4 Rite of Flame to give me some ramp. I've landed T1 Kiln fiend a handful of times with it! (took out pumps to make room.) Even though I mostly put it in there to do that, I'm never sad to see it in my hand. Ramp for a prowess trigger and more pumps is always good! I struggled with removal and added crappy creatures at the time to board in just for more bodies, but yours actually seem to add value. 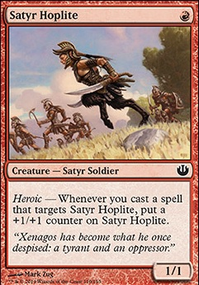 (I went with Sanguinary Mage, just for the 3 toughness, but she's always been "meh" at best.) Def. side in some Pyroblast. Counterspell seems to be everywhere and it can help and give you another trigger. I like the deck, but isnt it a little heavy on creatures to support cards like Enigma Geists and Wee Dragonnauts? 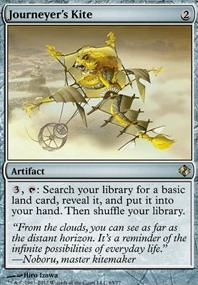 I suggest cutting some of the weaker creatures (Ornithopter, Surveilling Sprite, Spiketail Hatchling, etc. ), and add some more cheap cantrips or spells with Flashback, Buyback, or Rebound Reckless Charge, Artful Dodge, Distortion Strike, Mystic Retrieval, Deep Analysis. Steam Augury, Winterflame, and Izzet Charm are some nice dual color options to trigger your commander.